Holy Heck U.S.A. Gift Certificates | Holy Heck U.S.A. 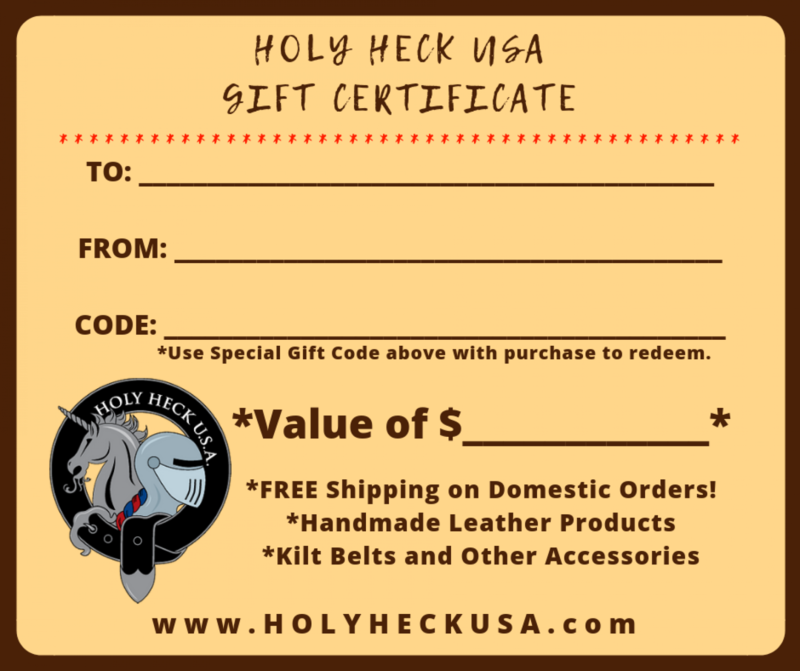 Gift certificates are now available for Holy Heck U.S.A. - Order yours today! Unsure of the right belt size, or how many kilt extender straps someone may need? Gift certificates are a great option. When gift certificates are ordered you will receive an order confirmation with a one time use code for redemption. Free shipping available for all domestic orders.